The shock about it is how it ended. It was very sudden and irretrievably finite – leaving no room for the vital preparation, which we ought to have made before the big exit. 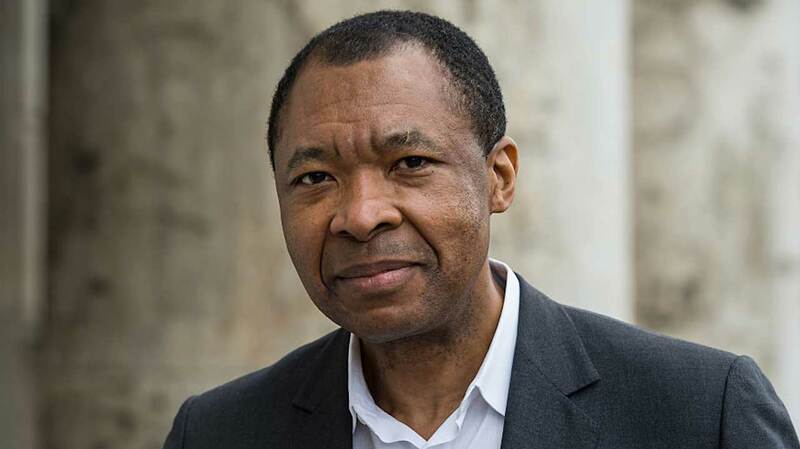 News of the death of Okwui Enwezor, last week in Germany was devastating to many in the art world but that was an understatement if it’s vast impact on the sector, especially to African operators in the contemporary arts. In the field of art, an iroko fell. 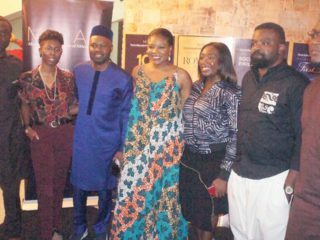 In Nigeria, something much more than that happened because the deceased, though conspicuously unsung at home, was a huge influencer of the global mainstreaming of many of the country’s acts in the arts sector. Enwezor, a Nigerian art curator, from Awkuzu in Anambra East Local Council of Anambra State, died on Thursday, March 15, following a struggle with cancer. He was an art critic, writer, poet, and educator and a specialist in art history who lived in New York City and Munich, Germany. Beyond what he was as defined by his practices, he was a global legend, an illustrious African and a legendary Nigerian. In 2014, he was ranked 24 in the ArtReview list of the 100 most powerful people of the art world. But sadly, not much of him is known at home. In the New York Times of Tuesday, March 18, 2019, Jason Farago mourned the great Nigerian art aficionado in a tribute entitled, ‘Okwui Enwezor, Curator Who Remapped Art World, Dies at 55’ with a short reminder of the revolution he stirred and steered until his death. Enwezor made the world see contemporary art as a vital part of world history and universal cultural exchange, which must be inclusive of all shades of human civilisations and narrative. Before his emergence in global limelight the mainstream art scene had been largely the exclusive terrain of the global west. He changed all of that and ever since his big expos at the turn of the new millennium the packaging of international art meetings has largely towed his line. Farago corroborates thusly: “His 2002 edition of Documenta, an important exhibition that occurs once every five years in Kassel, Germany, stands as a major achievement in recent art history. Though earlier shows like ‘Magiciens de la Terre’ (Paris, 1989) had begun to tell a worldwide story of art, the 2002 Documenta was a testament to how widely Mr. Enwezor was enlarging art world horizons and positioning artists of the 20th century avant-garde as just a few actors in a vast ebb and flow of world civilization. There are many landmark exhibitions, biennales, conferences and festivals as well as journal publications that etched Enwezor’s name, forever in the annals of contemporary arts. It is almost like he had a premonition of his relatively short life and conquered his grounds fast and clearly. But one place his resourcefulness was not fully tapped is in his homeland. 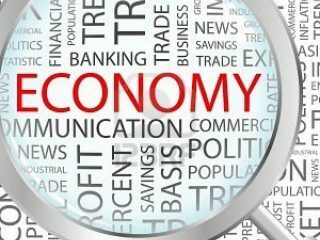 Much like a prophet not known in his home Enwezor’s radical revolution stirred neither frenzy nor a trend in Nigeria let alone a movement. Only the handful who knew him in the sector quietly reaped of his reach. When, in 2001 it was disclosed that Lagos, Nigeria will host one of the four listed discourse sessions packaged around the theme of the global showcase of contemporary arts, ‘Dokumenta 11’, in Germany many experts in the field wondered how the former capital city of Nigeria got listed in the fold of seven prominent global cities (four in Africa) that hosted the influential build-up conferences. When the discourse sessions (dubbed ‘Platforms’) eventually held in Goethe Institut, Lagos with the attendance some of the world’s eminent scholars, art critics and connoisseurs amid the live broadcast of all the major international broadcast and print organisation the question on many lips was who pulled the august audience down to Africa and Lagos, Nigeria. The name many Nigerians heard in response, “Okwui Enwezor,” was not well known to them. Popularly known in art world as just ‘Okwui’, the youngest son of an affluent Awkuzu family left Nigeria early at the age of 18 for Bronx after studying for just one semester in the University of Nigeria, Nsukka (UNN). In 1987, he earned a Bachelor of Arts degree in political sciences at the New Jersey City University. Teaming up in 1993 with fellow African critics Chika Okeke-Agulu and Salah Hassan, he launched the triannual Nka journal from his Brooklyn apartment. Drawn from the Igbo word ‘nka’ that connotes creativity, art and making things in an appealing and dexterous way, Nka had such scholars and artists as Olu Oguibe as editor of the inaugural issue and regular writer. It was a very influential publication in the art and academic world. It also boosts Enwezor’s reckoning as an art curator and he began by putting up several successful museum shows. 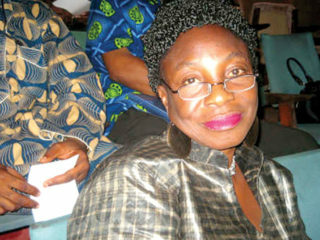 Thereon the international curatorial career of Enwezor blossomed. He brought into the global art mainstream a revolutionary re-articulation of African art and artists. He also exhumed the hitherto latent if silent but poignant political message in the artifacts and art shows he displayed. Enwezor is subtly but persuasively radical and irresistible in messages he brought out from the expos he served. His international art directing profile was imposing. Enwezor was the director of the Haus der Kunst, Munich, Germany. He was adjunct curator of the International Center of Photography in New York City, and Joanne Cassulo Fellow at the Whitney Museum of American Art, New York City. In 2013, he made history when he was appointed the curator of the world’s most revered art expo, the ‘Venice Biennale 2015’, making him the first African-born curator in the exhibition’s over 120-year history. Enwezor’s death, less than one month after the shocking death-trough-cancer of another Nigerian curator, Bisi Silva rattles Nigeria’s art scene to a wrecking level. Lagos born Ms. Silva, aged 57 was an international curator and critic whom, her base in Lagos was fast-gaining ground globally before the sudden death in February.